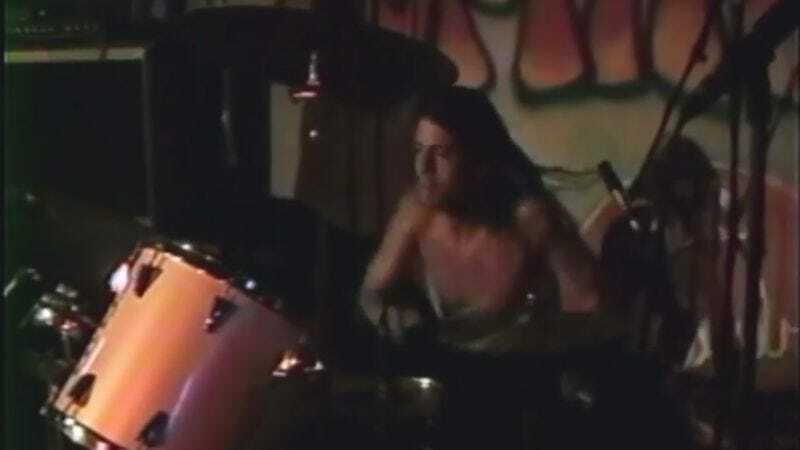 On October 11, 1990, future rock superstar, then fresh-faced 21-year-old, Dave Grohl–Nirvana’s newest (and last) in a long line of drummers–played live with the band for the first time. Shot at the North Shore Surf Club in Olympia, Washington, this footage features the group ripping through “Love Buzz,” the single off its debut album Bleach. It’s a great snapshot of the band in the pre-Nevermind era–one that was electrifying thanks in no small part to Grohl’s energy behind the kit. Sure, maybe it wasn’t the most challenging music in the world to perform, but he leans into it with an admirable punk vigor. You can also see more of the set (with a slightly truncated “Love Buzz” and a sadly cut-off rendition of Devo’s “Turn Around”) here.